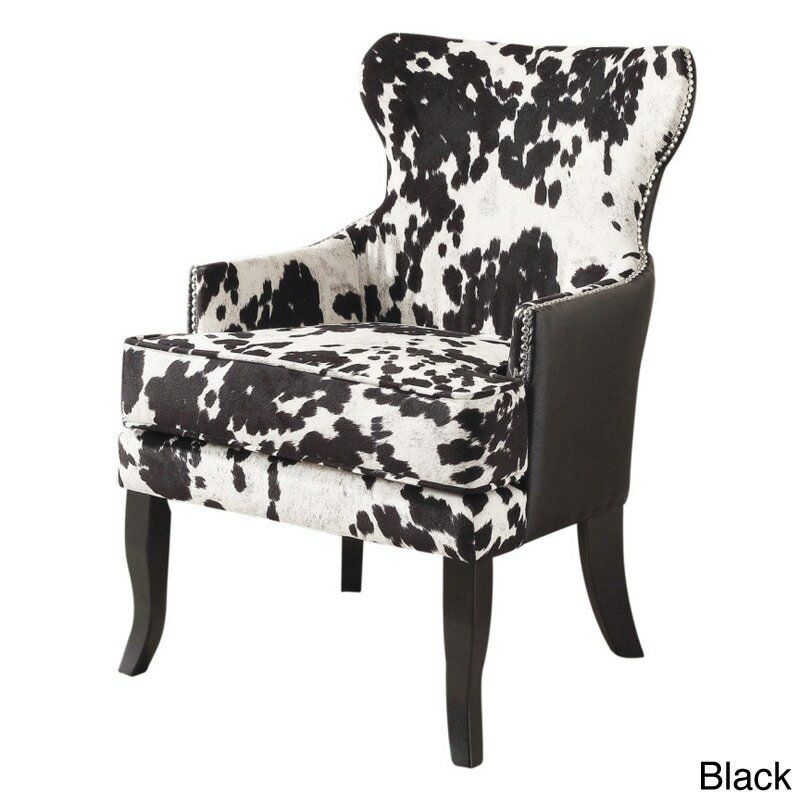 Combining a classic wing back design with a cow hide pattern fabric, this faux leather chair serves as extra seating and creates a conversation piece. The oversized chair offers a deep cushioned seat, while silver studs accent the curved lines of the back and arms. 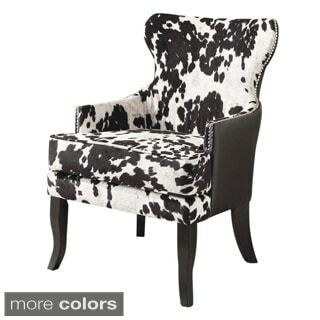 Add a rustic touch to your living room with this faux leather chair.